← Land of the living…. Rnd 1: 1htr in 1st ch to form a ring, 1htr in each of next 24ch. Rnds 3-7: Repeat rnd 2. To Finish: Sl st into the 1st htr of last round. Fasten off and sew in ends neatly, because cuffs can be worn with either side showing. Cuffs made by following above pattern but using another yarn. 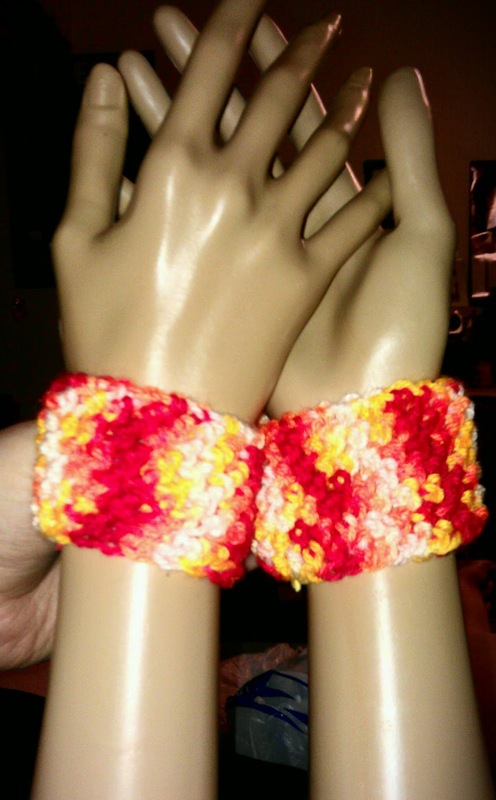 This entry was posted in Crochet and tagged Crochet, Moda Vera, Pattern, Wrist Cuff. Bookmark the permalink.